Baddiel was referring to a Yougov poll of voters in the 2015 Labour leadership election in which 28% of Corbyn supporters agreed with the statement “the world is controlled by a secretive elite”, which clearly does not even remotely substantiate the Jewish association attributed by Baddiel. And of course, as is so often the case with such disinformation, the real facts tell a completely different story. So, for instance, more recent YouGov polling on anti-semitic attitudes among UK voters has shown that it is considerably lower among Labour voters compared to Tory, and that it has considerably declined since Corbyn became leader. But this, like the hard evidence of Corbyn’s exemplary voting record on anti-semitism issues (and in contrast to most of his Parliamentary critics) simply don’t fit the narrative that Baddiel and the BBC were exclusively promoting. But to understand the insidious significance of this inaccuracy, we have to get to grips with the genealogy and anatomy of the wider narrative that has fermented over the last three years. Its overwhelmingly consistent feature is its assignment of guilt by association. Corbyn himself might not be such a bad guy, but he hangs around with bad people, he is surrounded and supported by bad people, and he doesn’t do or say enough to stop them. 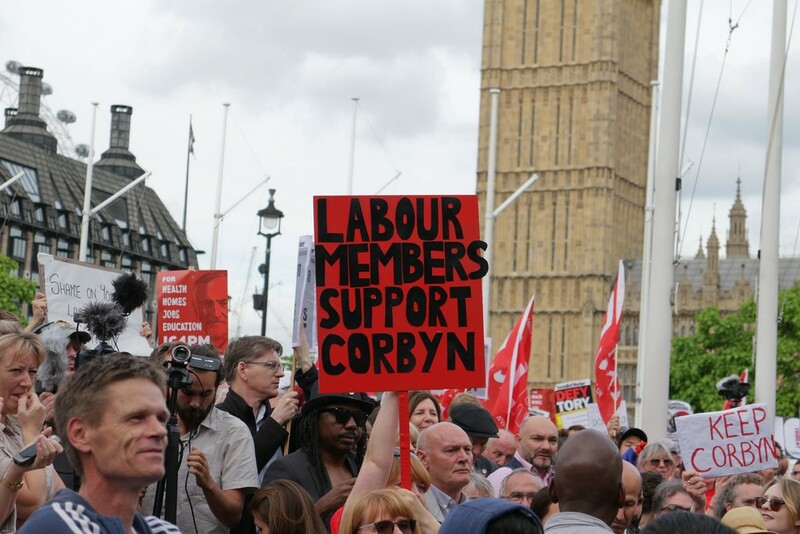 Whether its Irish Republican terrorists, muslim Jihadists, the Stasi or anti-semites, the underlying message is the same: Corbyn cannot be trusted because of the people he calls ‘friends’. In the early and heady days of Corbyn’s pre-Brexit leadership, this narrative was actually trumped by a more vocal critique of Corbyn’s policy platform. His anti-war and anti-nuclear stance in particular was portrayed as a dangerous threat to national security whilst his economic policies were generally derided as extreme, unpopular, and a potentially disastrous hark back to the bad old days before Thatcher and her descendants supposedly put everything right. Such commentary never actually made it into print but it is nevertheless instructive of just how confused the narrative has become. Of course, Theresa May doesn’t have to be ‘polite’ to everyone. She didn’t congratulate Vladimir Putin on his recent election ‘victory’. So it isn’t hard to spot the obvious premise underlying this misguided logic: that it is perfectly acceptable for our leaders to be friendly with vile anti-Semites provided they represent countries that are aligned with our (western) interests. That sets a dangerous predent indeed. But those associations do not serve the purpose of undermining Corbyn’s leadership.